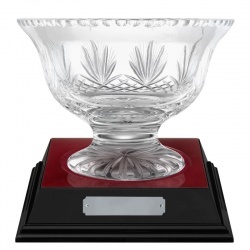 Superb crystal presentation bowl handcrafted in 24% lead crystal. With flared lip, round base, and handcut decoration with blank panel for engraving. 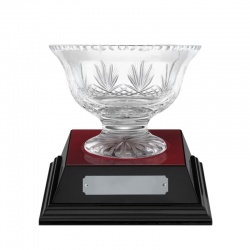 These 'Rushmore' presentation bowls stand 5.5in tall with a diameter of 7.5in. They are offered with an optional recessed wood base with engraving plate. 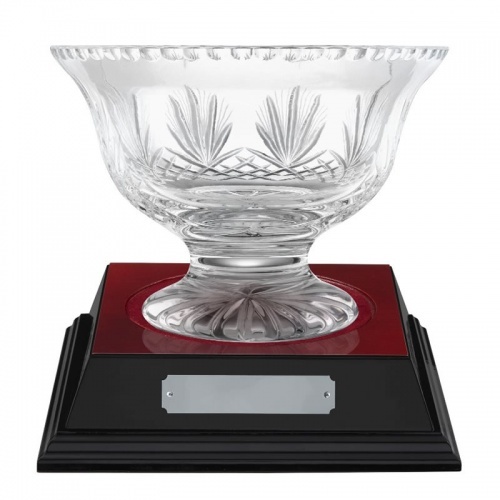 24% lead crystal bowl with handcut decoration, 6.5in tall. Optional wood base.